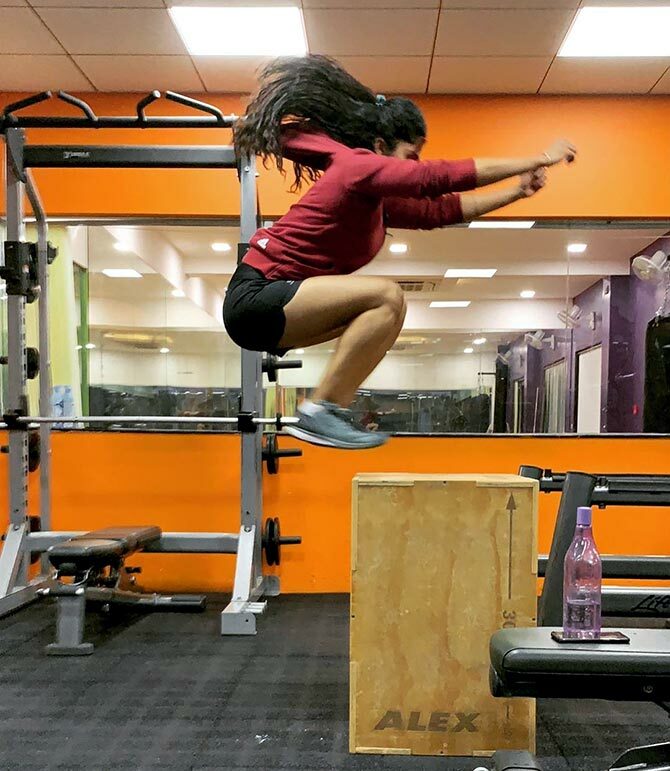 National level athlete Nami Rai Parekh didn't let marriage or lack of sporting facilities affect her love for fitness. Born in Mangalore, Namitha Rai was a silver and bronze medalist at the national level in 100 m hurdles and 100 m relay events. She used to be on the field running for at least three hours in the morning and back in the evening. Three years ago, she got married and shifted to Raipur to stay with her husband and in-laws. Due to lack of sports facilities in Chhatisgarh, Nami Rai Parekh (her name post marriage) couldn't pursue athletics like before. Instead of giving up or finding excuses, she turned to working out at the gym to continue her love for sport and fitness. "Since childhood, I have been born and brought up in and around sports. I have spent countless hours at the ground practicing. After marriage, I always had a wish to pursue my passion for sports. Due to lack of sports facilities here in Chhattisgarh, working out was the only option available. I have slowly come to like it now," Nami told Divya Nair/Rediff.com. The 28 year old who weighs 55 kg wants to inspire people to stop giving excuses and help chase their dreams. 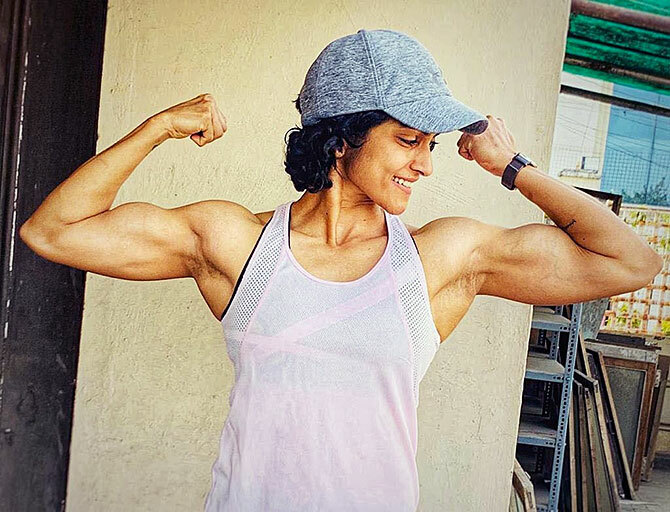 Scroll down to read more about her inspiring fitness journey. 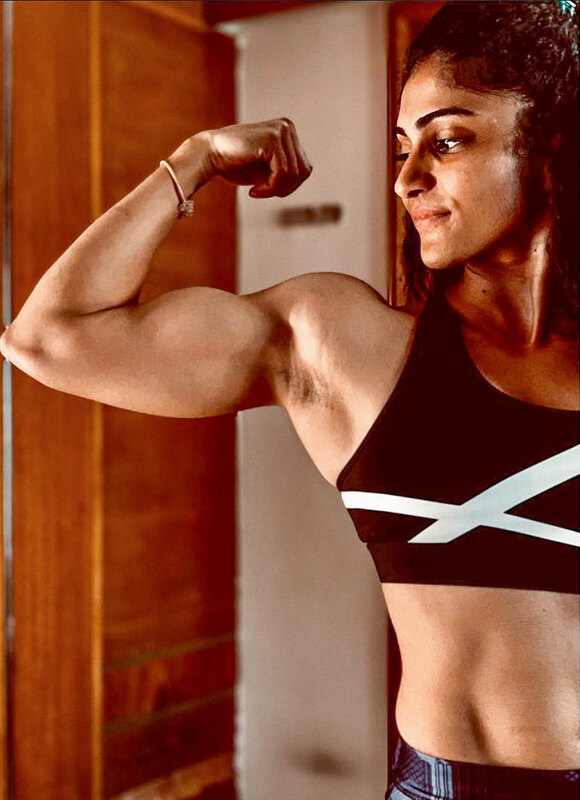 IMAGE: Namitha aka Nami Rai Parekh fondly known as Nami began training three years ago and thanks her in-laws and partner for being supportive. "I wake up early in the morning at 6.30 am and start my day with a glass of warm water with some lemon juice and salt. After making and serving breakfast for my in-laws, I prepare myself to go to the gym by having a cup of black coffee," she shares. "I am at the gym by 9 am and usually workout for 3 hours. I have a normal lunch at home and sleep for some time so that the body can recover." IMAGE: That's her pulling off a human flag pole. Rai doesn't have a rigid diet and sticks to basic, home-cooked food. But she believes in clean eating and having junk in moderation. 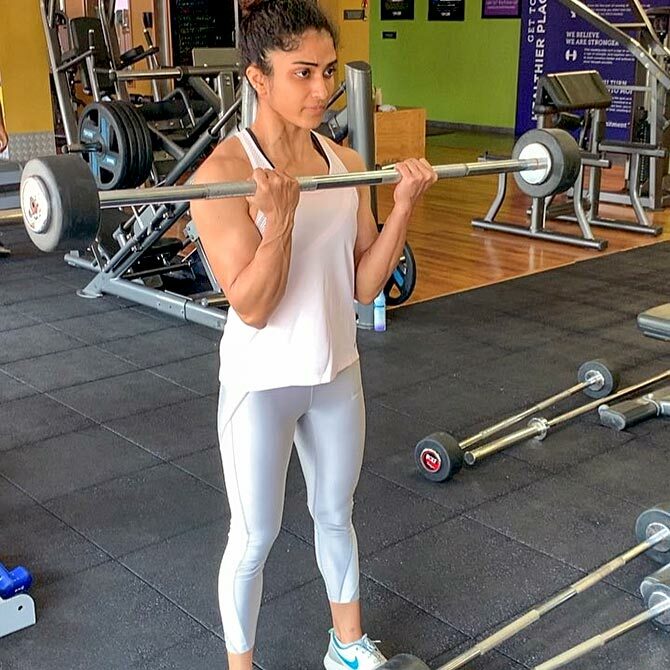 "I just make sure that I take sufficient protein through protein shakes and eggs, milk or paneer." IMAGE: Nami works out at least six days a week and trains on each muscle individually. 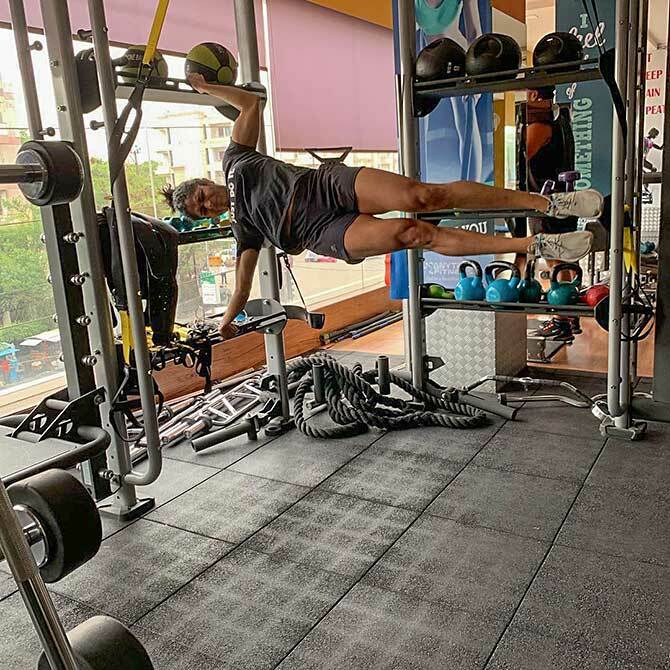 "I make sure I am training the core muscles and leg muscles adequately because they are the foundation muscles which will help you build your dream physique." "Cardio in the form of running is also a part of my regime," she says. IMAGE: She believes that staying focussed is really important. "Not all days are good, not all days will go as per the plan. Some days you won't be able to lift as heavy as you did maybe a week ago. This is where people usually give up and stop. I would say that this is the time to give it your all and just focus on your goals and keep moving ahead." "Fitness is a journey and not the destination." 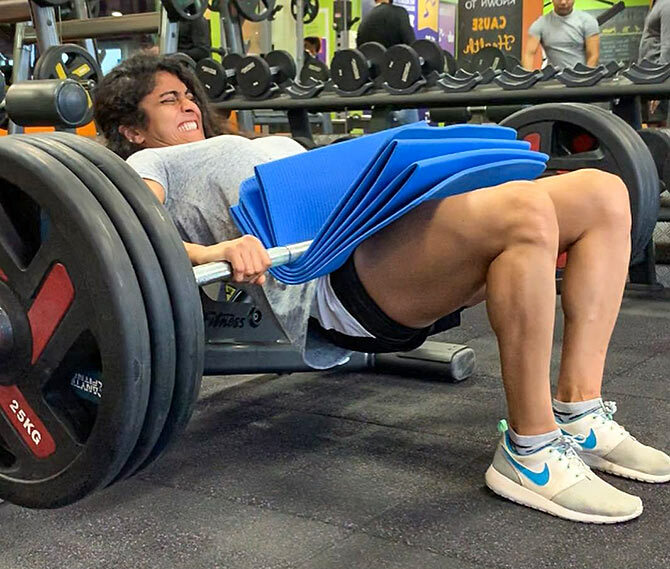 IMAGE: The athlete who can do a dead lift of up to 130 kg on a good day, is often criticised by people but she stopped caring after a point. "I just stopped caring about it because I know I am benefiting from what I am doing. Nothing should distract you from your path." IMAGE: In her advice to youngsters, she says "work harder." "Youngsters usually look up to film stars and aim to become like them. They try and when they don't see the results, they give up and get demotivated. They have to understand that those film stars have put in a lot of hard work for so many years to get the physique. If anyone is willing to work as hard, s/he will definitely succeed." IMAGE: Nami firmly believes in a quote she read somewhere. "The fact that you aren't where you want to be should be enough motivation," she says. 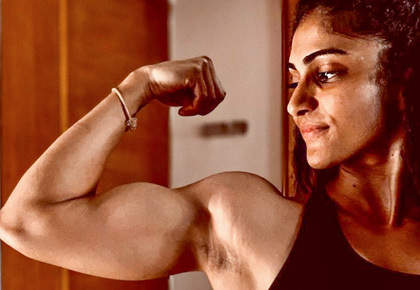 IMAGE: Her dream is to open a world class fitness centre where she aims to "provide state-of-the-art facilities which focuses on both physical as well as mental fitness." "Fitness is a lifestyle and that's what I would want to teach everyone," she said.